The State Water Project (SWP) is responsible for bringing drinking water to 25 million people and provides irrigation for 750,000 acres of farmland. Without it California would never have become the economic powerhouse it is today. The nation’s largest state-built water and power development and conveyance system, the SWP diverts water from the Feather River to the Central Valley, South Bay Area and Southern California. Its key feature is the 444-mile long California Aqueduct that can be viewed from Interstate 5. The SWP has required the construction of 21 dams and more than 700 miles canals, pipelines and tunnels. To reach Southern California, the water must be pumped 2,000 feet over the Tehachapi Mountains; it’s the highest water lift in the world. 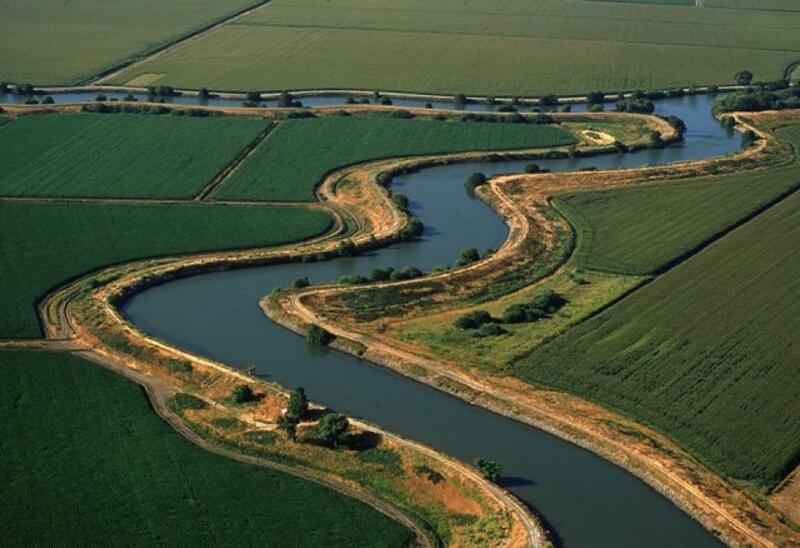 Today, about 30 percent of SWP water is used for irrigation, mostly in the San Joaquin Valley, and about 70 percent is used for residential, municipal and industrial use, mainly in Southern California but also in the Bay Area. The SWP was built and is operated by the California Department of Water Resources. 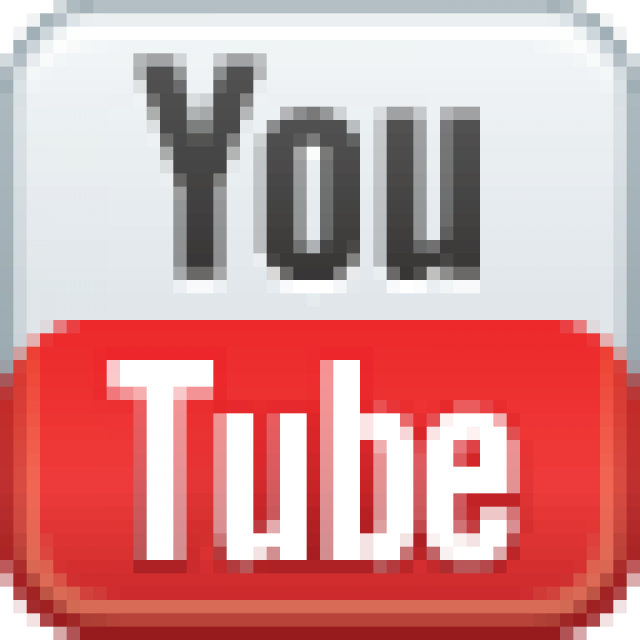 To watch a slideshow about the SWP, click here. California State Treasurer Fiona Ma announced the competitive sale this week of $299.6 million in California Department of Water Resources water system revenue bonds to refinance certain State Water Project capital improvements, including a portion of the costs of the Oroville Dam Spillways Response, Recovery and Restoration Project. John O. McClurg, 93, passed away peacefully on March 22, 2019, in Carmichael, California. … In January 1952 John received a bachelor’s degree in engineering from USC and went to work for the California Department of Water Resources in its Ventura County field office. Zone 7 Water Agency directors have voted to renew their participation in two water storage projects so that the water wholesaler can continue to plan for more alternative water sources during droughts. The board voted unanimously to participate in phase 2 of the Sites Reservoir project, a JPA formed in 2010 to create a reservoir 75 miles northwest of Sacramento. … Also, by a unanimous vote, directors committed up to $355,000 for a second phase of participation in the expansion of Los Vaqueros Reservoir in southeastern Contra Costa County. 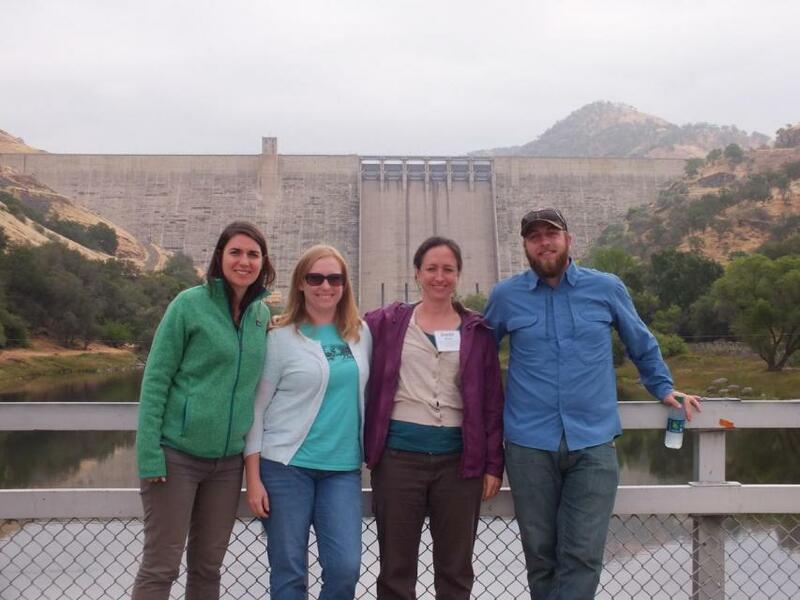 A coalition of environmental groups has called on California members of Congress to prioritize the San Luis (B.F. Sisk) Dam seismic remediation over federal funding for new California dams. San Luis Dam is in a very seismically active area. Independently reviewed risk assessments for Reclamation have shown that a large earthquake could lead to crest settlement and overtopping of the dam, which would result in large uncontrolled releases and likely dam failure. In the latter half of 2018, both the federal and state governments released new climate change assessments that outline the projected course of climate change and its potential effects on water resources. 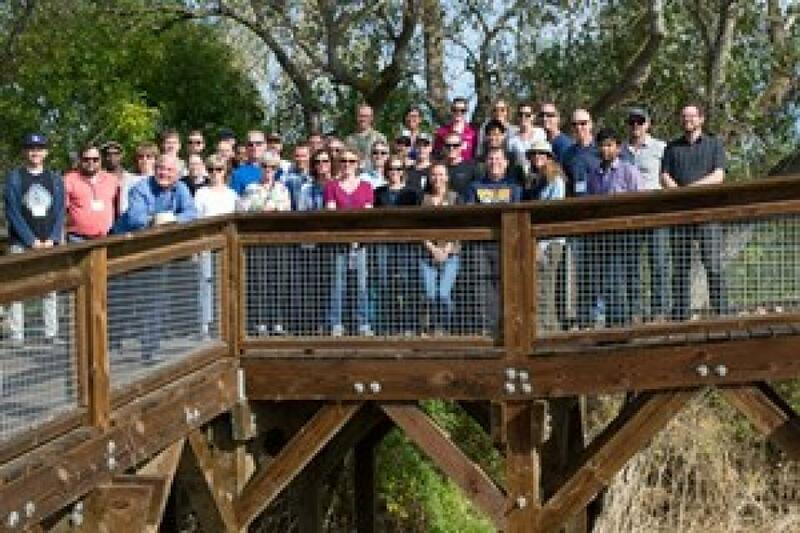 At the December meeting of the California Water Commission, staff from the Department of Water Resources and the Delta Stewardship Council were on hand to present an overview of the newly released assessments. Despite the last few storms that brought the North State much needed rain, this water year has been relatively dry, and those conditions are reflected in the Department of Water Resources’ initial State Water Project allocations. President Donald Trump on Friday ordered the government to speed up environmental reviews and streamline regulations that he says are hindering work on major water projects in California and other Western states. Trump signed a memorandum aimed at helping the Central Valley Project and the California State Water Project in California, the Klamath Irrigation Project in Oregon and California and the Columbia River Basin system in the Pacific Northwest. 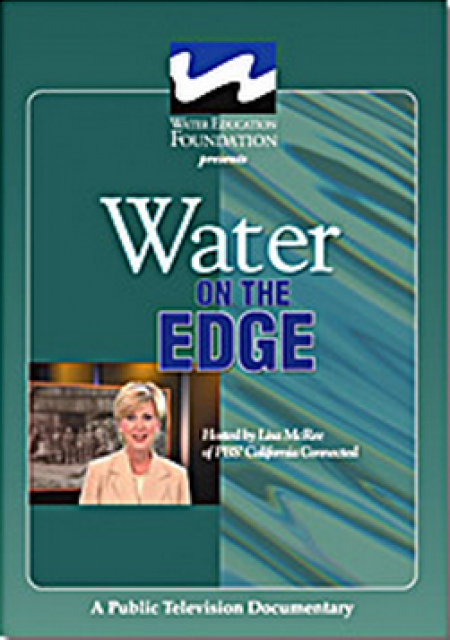 Nearly six decades ago, shortly after becoming governor, Pat Brown persuaded the Legislature and voters to approve one of the nation’s largest public works projects, the State Water Plan. New reservoirs in Northern California, including the nation’s highest dam at Oroville on the Feather River, would capture runoff from snowfall in the Sierra, and a massive aqueduct would carry water southward to San Joaquin Valley farms and fast-growing Southern California cities. Splitting California into three new states would scramble nearly every segment of government that touches residents’ lives, from taxes to Medi-Cal to driver’s licenses. … But of all the gargantuan tasks facing Californians should they choose to divide themselves by three — a proposal that has qualified for the November ballot — none is arguably more daunting than carving up the state’s water supply. The Legislature created the Department of Water Resources in 1956 for the purpose of managing the State Water Project, then in its early stages of planning. … AB 3045 would create a new State Water Project Commission under the state’s Natural Resources Agency to run the project – the agency, whose secretary serves in the governor’s cabinet, has broad authority over DWR. 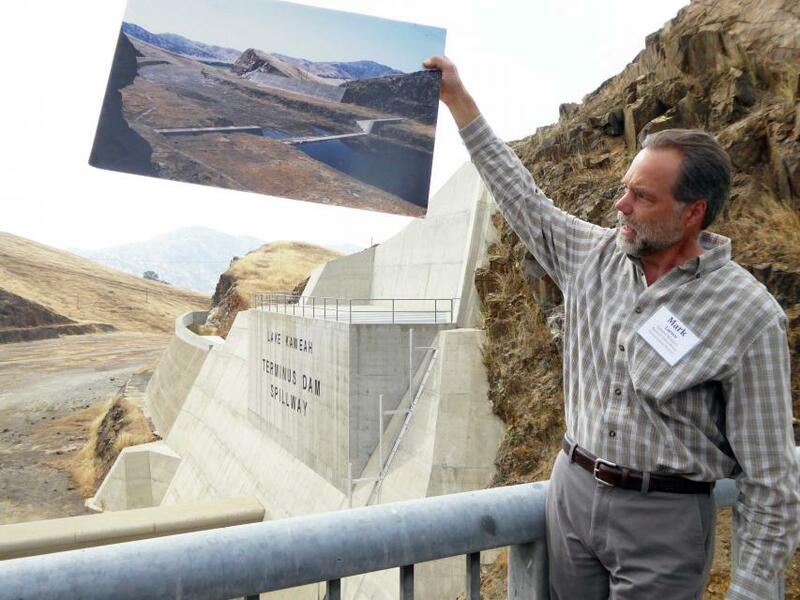 There are 34 storage facilities, 30 dams, 23 pumping plants and nine hydroelectric power generation plants that are part of the California State Water Project, and the Department of Water Resources is in charge of not only operating but also of inspecting all of them. Local Assemblyman James Gallagher says that’s a conflict of interest, and a bill he’s pushing looks to take some of that authority away from DWR. The storms of March may not have rained glory on the state, but they dropped enough snow on the Sierra to greatly improve the drought situation and, with another storm rolling in this week, water resources officials believe thirsty California will make it through the year. After a historically wet season last year, relatively little precipitation has fallen this year in California during two of the three historically wettest months. Officials are urging stricter water conservation and caution drier months ahead. After last week’s rains, the Sierra snowpack — a critical factor in water availability — climbed to just 39 percent of normal. California water officials tromped through long-awaited fresh snowdrifts in the Sierra Nevada mountains Monday, but a welcome late-winter storm still left the state with less than half the usual snow for this late point in the state’s important rain and snow season. The storm that wrought avalanches at ski resorts and whiteouts on mountain roads last week was so fierce that California water officials postponed their much-anticipated monthly survey of snow depth, setting the stage for potentially better news this week. Welcome drifts of fresh snow await California’s water managers on their late-winter survey of the vital Sierra Nevada snowpack Monday after a massive winter storm slowed the state’s plunge back into drought. The storm piled snow by the foot in the mountains, forcing Department of Water Resources officials to postpone the measurement for a few days. Dams and reservoirs under the jurisdiction of the California Department of Water Resources will be inspected more regularly thanks to a new law Gov. Jerry Brown signed this week. 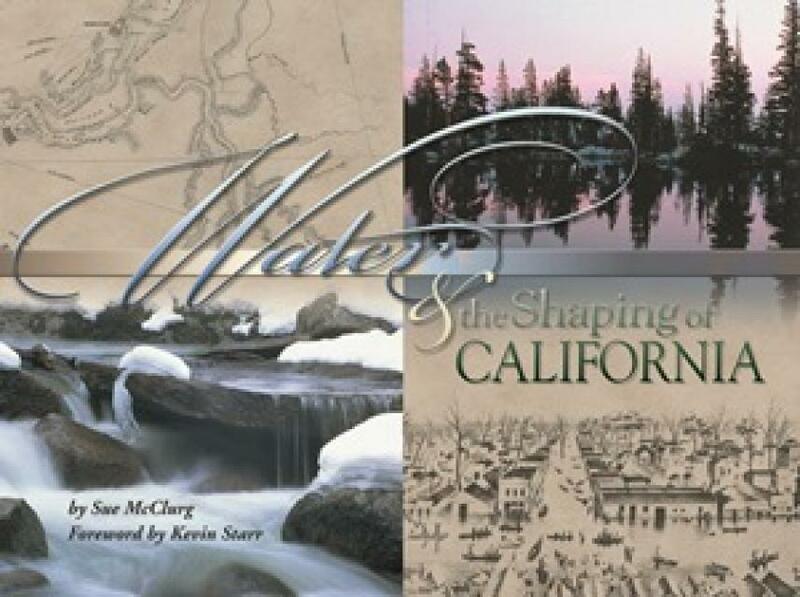 What does this mean for Tulare County’s reservoirs and aging dams, Kaweah and Success? 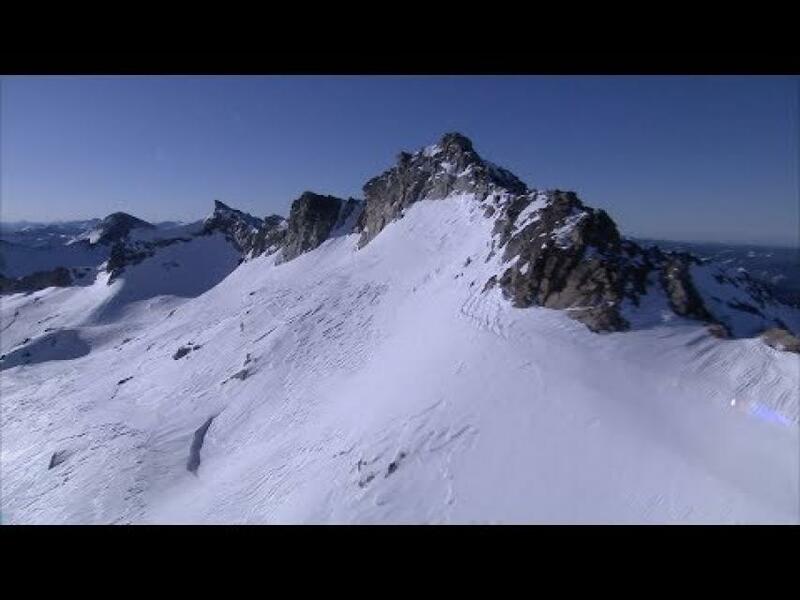 Amid record-setting heat in the state’s south, California’s water managers will measure the Sierra Nevada snowpack, which supplies water to millions. Department of Water Resources officials will trek to the mountains Thursday to check the snow depth, one gauge of the state’s water supply. Get a unique view of the San Joaquin Valley’s key dams and reservoirs that store and transport water on our March Central Valley Tour. 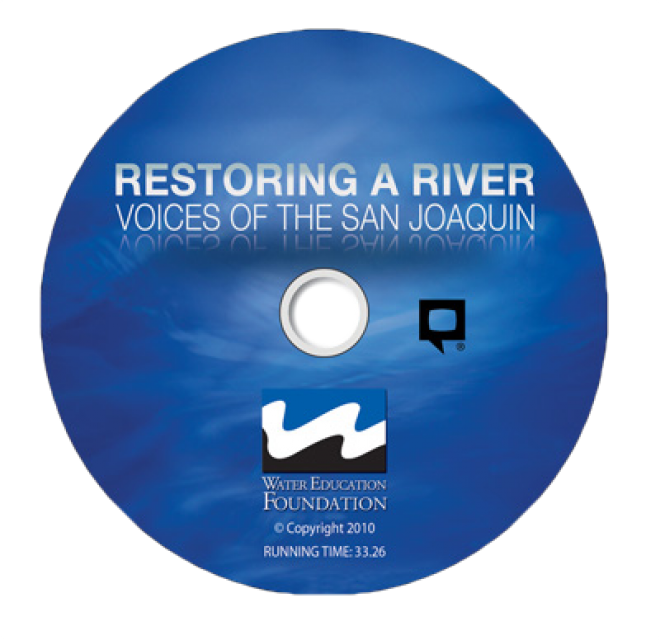 Our Central Valley Tour, March 14-16, offers a broad view of water issues in the San Joaquin Valley. 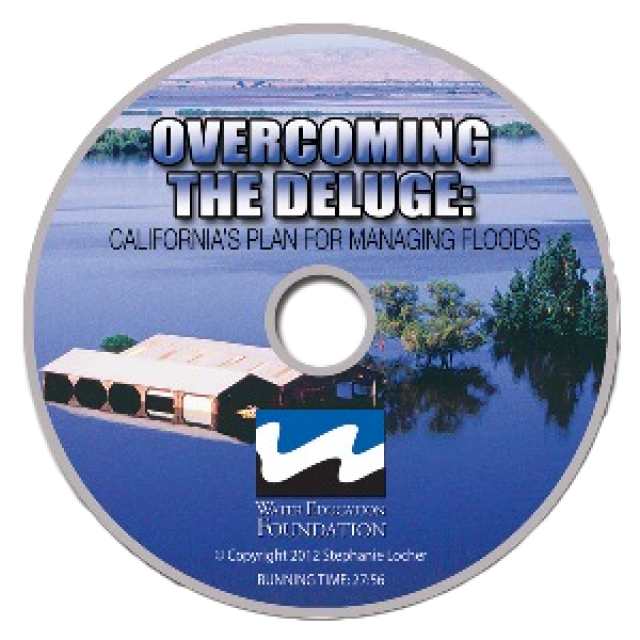 In addition to the farms, orchards, critical habitat for threatened bird populations, flood bypasses and a national wildlife refuge, we visit some of California’s major water infrastructure projects. Critics who say state water policy tilts too far toward Southern California got additional ammunition last week, when Gov. Jerry Brown named a new director to run his Department of Water Resources. New DWR Director Karla Nemeth is married to Tom Philp, an executive strategist with the Metropolitan Water District of Southern California. A lawsuit filed Wednesday against the state water agency in charge of the Oroville Dam not only alleges mismanagement and disregard for the public’s safety, but also a toxic work environment rife with racism, sexual harassment and theft. The grassy brown Sierra meadow where California’s water managers gave the results of the winter’s first manual snowpack measurements Wednesday told the story — the drought-prone state is off to another unusually dry start in its vital winter rain and snow season. “We would like to have had more snow,” Grant Davis, head of California’s Department of Water Resources, told news crews gathered in this mountain field, bare of all but a few crusty dots of old snow. For months, regional water officials were prevented from recharging drought-depleted water basins in the San Gabriel Valley and southeast Los Angeles County because they feared an infestation of an invasive shellfish that could destroy local ecosystems. Slowly – but surely – we are learning that the near-catastrophic failure of Oroville Dam’s main spillway wasn’t truly caused by weather, even though the state claims that in seeking federal aid for repairs. Rather, it resulted from poor engineering and construction when the nation’s highest dam was rising more than a half-century ago as the centerpiece of the State Water Project, and poor maintenance since its completion. California Gov. Jerry Brown last week appointed Grant Davis as director of the state’s Department of Water Resources. Davis, 54, general manager of the Sonoma County Water Agency, brings an unusual resume to the job. … Davis assumes the DWR director’s job on Aug. 1, and Water Deeply recently talked to him about his plans. The Golden State’s system of 154 major reservoirs is holding 34,464,000 acre-feet according to the most recent June 12 state report with data pulled from an array of entities that own and manage these bodies of water, including the Department of Water Resources, the Bureau of Reclamation, the Army Corps of Engineers and several city water departments. Not just concrete and rebar, but “human and organizational” factors that could have contributed to the emergency at the Oroville Dam spillway will be included in the investigation currently underway by an independent team of experts assembled by two national dam associations. “I’m sorry. I’m sorry for the impact on your lives,” Bill Croyle told a crowd of more than 250 people at the Butte County Fairgrounds. Croyle, the acting director of the Department of Water Resources, answered questions and listened Thursday evening as people stepped up to a microphone and were heard during the first of the water agency’s community meetings about the Oroville Dam spillway disaster and evacuations. A coalition of environmental groups that had warned Oroville Dam’s emergency spillway was fatally flawed long before it nearly washed away this winter is demanding that federal regulators open up dam repair plans for public vetting. The state Department of Water Resources has completed its schedule of community meetings it will be holding to provide information about the ongoing Oroville Dam spillway repairs. 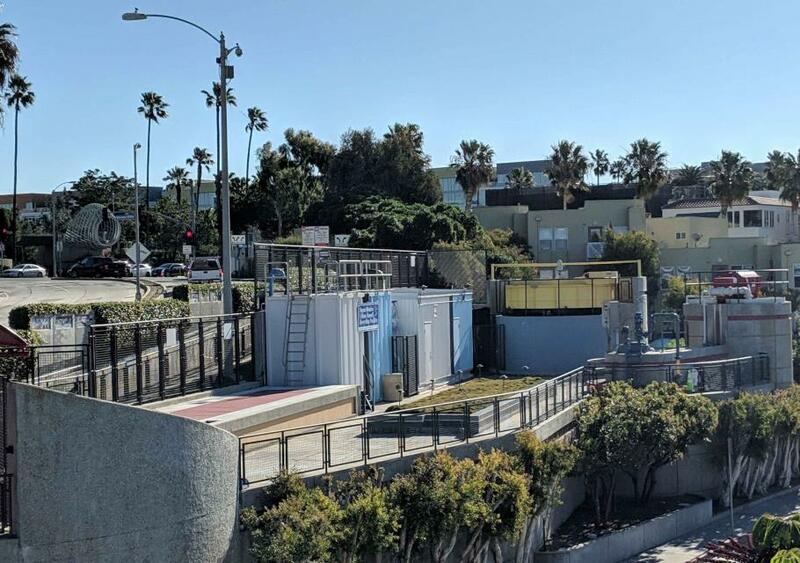 State officials said Friday Southern California water agencies will soon get close to a full of allotment of water — 85 percent — following several winter storms that broke rain and snow records across the state. State officials have reopened the damaged spillway at Oroville Dam as another set of rainstorms began moving across Northern California. … Water will continue pouring down the spillway for up to two weeks, depending on how much more rain falls. Blowing past state officials’ financial projections, three construction contractors submitted bids for the Oroville Dam repairs that begin at $275 million, the Department of Water Resources said Saturday. … DWR said it would spend the weekend reviewing the bids and declare a winner Monday. In their 70s and 80s now, some men who built the Oroville Dam still remember those tough days well, some 50-odd years later. Most of the people they worked with have since passed on, but some of the former construction workers who are living in Oroville have continued to meet up over the years. Lake Oroville is dropping about 4 feet a day and the Feather River is running high, as the Department of Water Resources empties space in the lake to absorb storm runoff and snowmelt. With water soon set to flow down the damaged spillway at Oroville Dam, some residents are cautiously confident in repairs and haven’t checked the newly minted evacuation plans yet. California water officials, still struggling with fixes at Oroville Dam, will have to temporarily shut down the pumping station that delivers water to much of Southern California and Silicon Valley after discovering damage at another key state reservoir. A damaged flood control spillway at the Oroville Dam may have to be used as early as next week as storm runoff and snowmelt continue to fill the massive reservoir on the Feather River, state water officials said. A wet winter brought to light problems at the nation’s tallest dam, which controls water delivered across California. Just how many people are out working at Oroville Dam in response to the spillway emergency and how much is it going to cost? Both reporters and elected representatives have struggled to get an answer to that question. The Hyatt Powerplant at Oroville Dam was turned off again Saturday after a successful test Friday. Crews worked Tuesday to clean up dirt and debris from the base of Oroville Dam and biologists rush to save stranded fish after state officials shut off the flow of water from a damaged spillway at the Northern California lake. Can Oroville Dam’s badly damaged spillway hold up through the rainy season? For three weeks, Oroville Dam’s fractured main spillway and the surrounding hillsides have taken a nearly nonstop pounding. The stunning waterfall crashing down what’s left of the 3,000-foot concrete span has split the spillway in two and carved massive canyons on either side. The Department of Water Resources plans to remove at least some of the debris at the bottom of the Oroville Dam spillway and study the structure, but just aren’t sure when they’ll have a chance to do that. Jeffrey Mount, a leading expert on California water policy, remembers the last time a crisis at the Oroville Dam seemed likely to prompt reform. 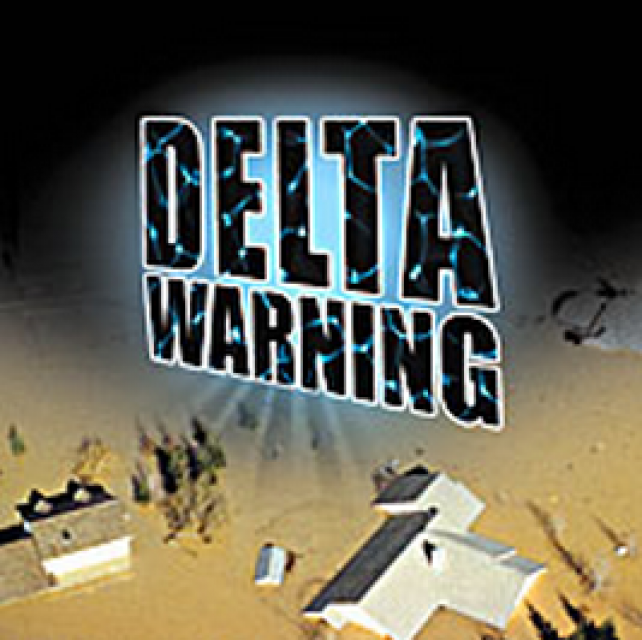 It was 1997 and the lake risked overflowing, while levees further downstream failed and several people died. Rainwater erosion alongside the Oroville Dam’s main spillway appears to have contributed to the heavy damage that prompted a crisis, forcing more than 100,000 to be evacuated from their homes, a report reviewed by The Times showed. Officials raced to drain more water from a lake behind battered Oroville Dam as new storms began rolling into Northern California on Wednesday and tested the quick repairs made to damaged spillways that raised flood fears. 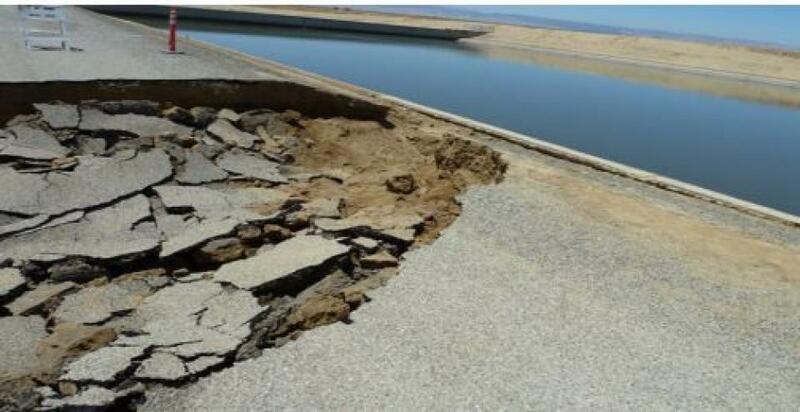 Six months before rushing water ripped a huge hole in a channel that drains a Northern California reservoir, state inspectors said the concrete spillway was sound. As officials puzzle through how to repair Oroville Dam spillway, federal regulators have ordered the state to figure out what went wrong. With both spillways badly damaged and a new storm approaching, America’s tallest dam on Tuesday became the site of a desperate operation to fortify the massive structures before they face another major test. … In a sign of the progress made Tuesday, officials downgraded the evacuation order to a warning, allowing all evacuated residents to return home. Congressional representatives said Monday they were stunned to learn that Oroville did not have a backup spillway paved with concrete that could be safely used if the main one was damaged. Governor Jerry Brown has issued an emergency order on Sunday night to increase California’s response to the Oroville Dam emergency spillway possibly on the verge of breaking. Water levels dropped Monday at California’s Lake Oroville, stopping water from spilling over a massive dam’s potentially hazardous emergency spillway after authorities ordered the evacuation of nearly 200,000 people from towns lying below the lake. California Department of Water Resources officials are waiting for the light of dawn to inspect an erosion scar on the spillway at the Oroville Dam, the nation’s largest. Unchecked groundwater use is colliding with seesawing weather patterns to produce a new act in California’s long-running tragedy of the commons. According to NASA and European Space Agency data released on February 8, parts of the California aqueduct on the west side of the San Joaquin Valley, near Avenal, sank more than two feet between 2013 and 2016 as farmers pumped records amounts of groundwater during the state’s historic drought. The mass evacuations underway below the Oroville Dam capped a week of frantic efforts to prevent flooding as America’s tallest dam reached capacity and its main spillway was severely damaged. More than a decade ago, federal and state officials and some of California’s largest water agencies rejected concerns that the massive earthen spillway at Oroville Dam — at risk of collapse Sunday night and prompting the evacuation of 185,000 people — could erode during heavy winter rains and cause a catastrophe. A gaping hole in the spillway for the tallest dam in the United States has grown and California authorities said they expect it will continue eroding as water washes over it but the Oroville Dam and the public are safe. As storm runoff poured into fast rising Lake Oroville Thursday, the state resumed releases down the reservoir’s damaged spillway, creating dramatic scenes of muddy torrents gushing over the concrete chute. With stormwater and snowmelt pouring into the reservoir faster than expected, the operator of the crippled Oroville Dam said it was likely water would have to be released from the facility’s emergency spillway as soon as Saturday – a last-ditch alternative that officials had been hoping to avoid. Faced with rising reservoir levels, state engineers on Wednesday were trying to figure out how much water they could send down Lake Oroville’s damaged spillway. As a test run at the Oroville Dam spillway commenced Wednesday afternoon, the director of the Department of Water Resources said at a press conference in Sacramento he expected the bottom of the spillway to be eroded away by spring, with a replacement completed by fall. State engineers gingerly began releasing water again through the damaged Oroville Dam spillway Wednesday in a controlled test to see how much water the scarred facility could handle, as reservoir levels continued to climb behind the critical flood-control structure. Flows from one of California’s biggest supplies of drinking water were suspended Tuesday after a massive hole opened in the Oroville Dam spillway amid heavy rains. State and federal water managers ramped up water releases from Sacramento Valley dams Monday afternoon to make space for the water due to come from the storm that was expected to arrive overnight. After five years of drought, could California really have so much rain and snow there’s no room to store all the water? … One month into an exceptionally stormy 2017, river flows though the Sacramento-San Joaquin Delta have been so powerful that the massive pumps that ship north-state water to Southern California and the San Joaquin Valley have roared at full throttle for weeks. 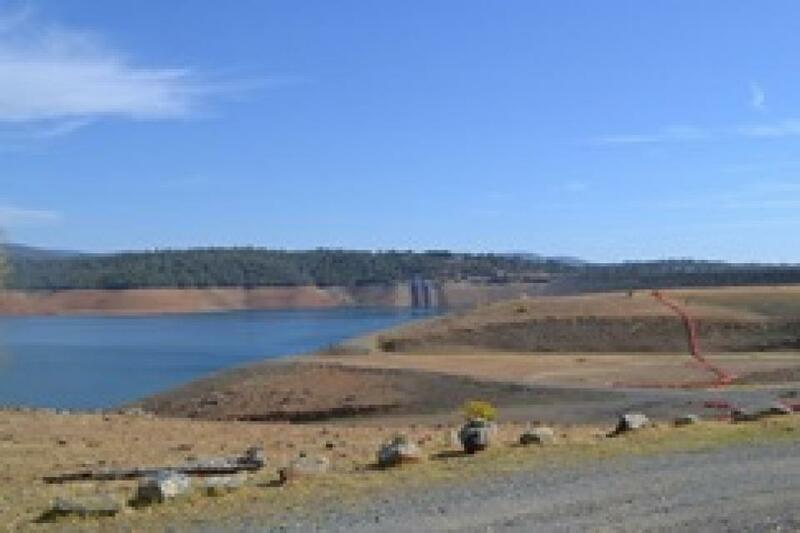 State Water Project contractors will get 60 percent of the water they want this year due to the storms that have filled Lake Oroville and buffered the snowpack in the hills above. With major reservoirs nearly full, the Sierra Nevada snowpack well above average and flood warnings in place for some rivers, federal scientists reported Thursday a continued weakening of California’s drought. … Even as state officials urged caution, they announced Wednesday that cites [sic] and farms will receive at least 60 percent of the maximum amount of water they are contracted to buy in the coming year from the State Water Project, up from just 20 percent two months ago. No patterns, lots of blooms and more to learn. … For the first time, the state tracked outbreaks of cyanobacteria, commonly known as blue-green algae, confirming reports of blooms in approximately 40 different lakes, rivers, streams and other water bodies across the state, including Lake Elsinore, Pyramid and Silverwood lakes and lakes at the El Dorado East Regional Park in Long Beach. California officials, acknowledging the wet start to winter, on Wednesday more than doubled the expected allocation of water from the State Water Project. With the rainy season off to a strong start, California officials on Wednesday more than doubled the amount of water they expect to provide next year from the State Water Project. Pyramid Lake is now infested with ecosystem-altering Quagga Mussels after state officials found six of the non-native freshwater mollusks Thursday in a tunnel that connects the lake with another body of water along the state’s water delivery system. Rains have drenched Northern California, where most of the state’s largest reservoirs are located. The state had the second wettest October since the Department [of Water Resources] began keeping records in 1921. With a holding capacity of more than 260 billion gallons, Diamond Valley Lake is Southern California’s largest reservoir. It sits about 90 miles southeast of Los Angeles and just west of Hemet in Riverside County where it was built in 2000. The offstream reservoir was created by three large dams that connect the surrounding hills, costing around $1.9 billion and doubling the region’s water storage capacity. State and federal reservoir levels have been dropping at dramatically different rates for the last couple of months, for reasons that figure into last week’s discussions about the twin tunnels under the Sacramento-San Joaquin Delta. After watching her 13-year-old son throw up everything he ate when they got home from a day of jet skiing at Pyramid Lake, Sharyn Martinez was angered to learn last week that the state is now urging the public to avoid the water there because of a toxic algal bloom. California will deliver more water this year than it has for each of the last three, as spring storms have nearly filled the state’s major reservoirs, officials said Thursday. 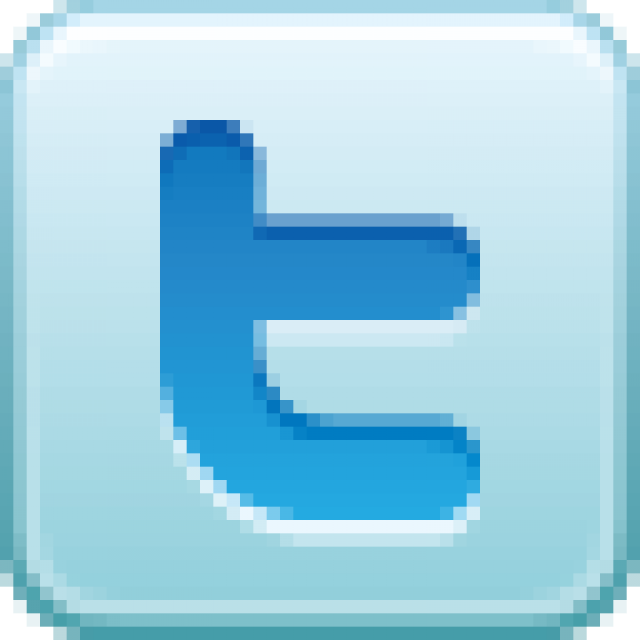 The State Water Project announced Thursday that it will supply 60 percent of the water requested by its 29 contractors. In another sign that the so-called “Miracle March” storms in Northern California helped ease the state’s drought, farms and cities reliant on the State Water Project learned Thursday that they’ll likely get 60 percent of the water deliveries they requested from the state, an increase from a month ago. Years of drought followed by the recent pounding storms to hit the Bay Area and Northern California has turned water watching into a spectator sport. California farmers and urban areas that rely on the State Water Project will receive the largest allocation of water since 2012. Deliveries from the State Water Project are now forecast to be 45 percent of what was requested, still less than what’s supplied during most wet years but more than what’s been allocated since the first year of the drought. The state Department of Water Resources announced it would be able to give its client water agencies 45 percent of their water allocations this year. Saying too much water is flowing out to sea, U.S. Sen. Dianne Feinstein on Friday called on operators of the federal and state water projects to pump more water south through the Delta to drought-stricken farms and cities in Central and Southern California. The weekend storm bolstered Lake Oroville’s water level to its highest level in nearly three years. … Since Thursday, the lake has risen 20.5 feet. With a bit more snow in the Sierra than in years past, California officials on Wednesday boosted the amount of water they expect to deliver this year from the state’s mountain-fed reservoirs. 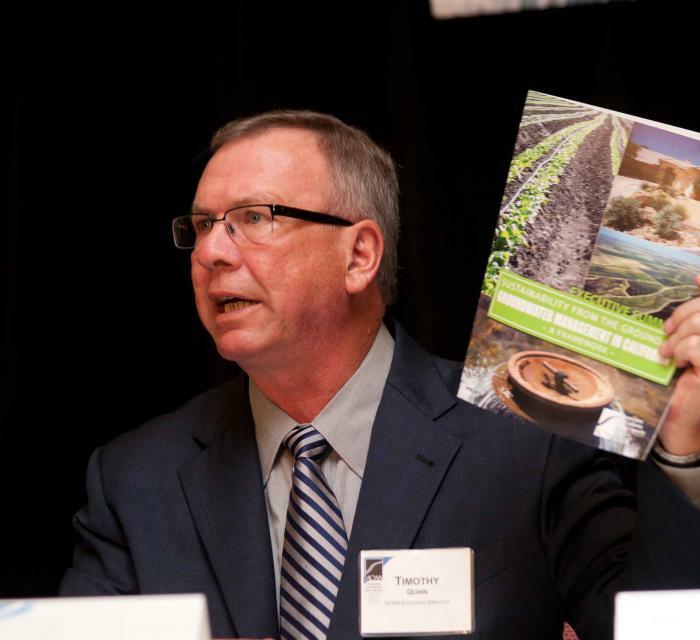 In an encouraging note for California’s farms and cities, the State Water Project has doubled the amount of water it expects to deliver this year. Recent El Nino storms have boosted the Sierra Nevada snowpack to 115 percent of normal – more than the drought-stricken state has seen in five years, officials said Tuesday. The Department of Water Resources, mindful of the fruits of the El Niño weather pattern, boosted expected water deliveries to cities and farms from last month’s scant projection of 10 percent of what was requested to a slightly better 15 percent. The recent onslaught of El Nino storms only slightly increased the levels of California reservoirs that now stand at half of historic depths for this time of year, federal officials said Friday while releasing an initial water outlook for 2016. California officials said Tuesday they expect to deliver just 10 percent of normal supplies from the State Water Project next year, or half as much as this year. California officials announced Tuesday that the state’s massive water delivery system, which carries mountain runoff to cities and farms, will likely supply 10 percent of the water requested next year due to the drought — half of what was provided this year. Water year 2016 began with the potential for heavy El Niño rains that captured the attention of the public. State and federal officials knew that California’s drought-stricken reservoirs would not recover that quickly. 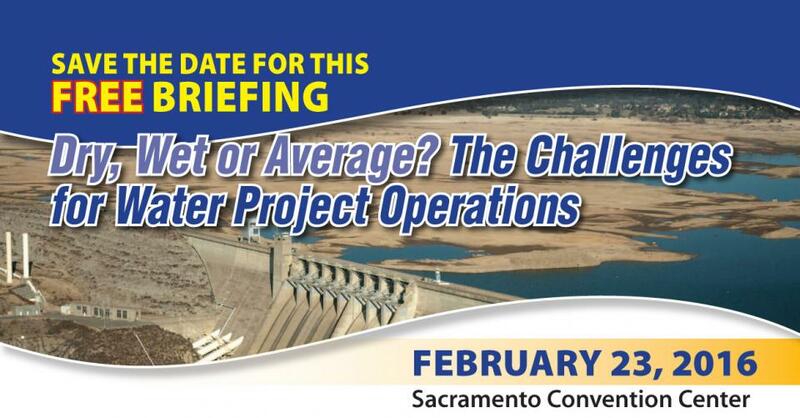 Hydrologic conditions, precipitation patterns, the need for fishery flows, and forecasts of state and federal water project operations were all discussed at a special FREE briefing held February 23, 2016. 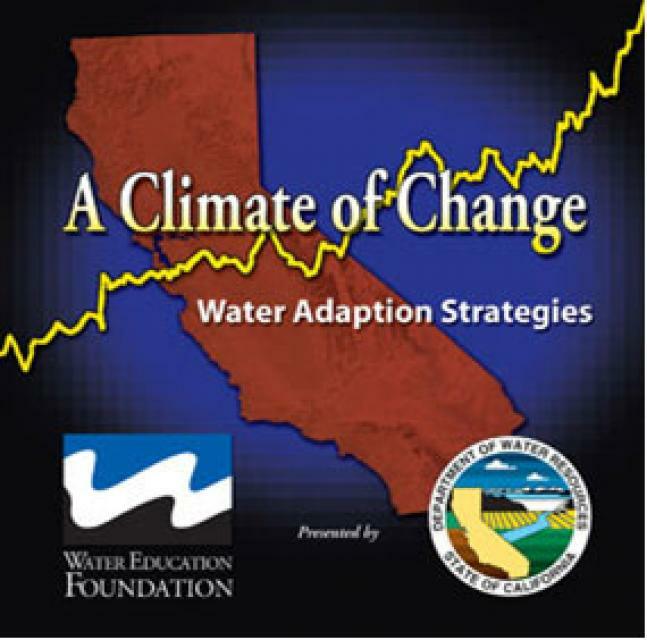 Sponsored by the California Department of Water Resources and the Water Education Foundation, the briefing was held at the Sacramento Convention Center, Room 202. Ugly brown rings where waves used to lap at the shore. … Barren boat ramps. Trickles of water. Say you built a new house. A big, sturdy house, designed to meet the needs of your family for generations to come. After 30 years, the roof starts leaking. The furnace breaks. The paint peels, and wood trim begins to rot. Would you make repairs? When Edmund G. Brown Sr. was governor of California, people were moving in at a pace of 1,000 a day. … He was the boom-boom governor for a boom-boom time: championing highways, universities and, most consequential, a sprawling water network to feed the explosion of agriculture and development in the dry reaches of central and Southern California. An emergency $6.7 million plan to make the State Water Project’s California Aqueduct flow backward for roughly 100 miles to bring water from the Bakersfield area to Silicon Valley has been shelved for this year. Temperatures across the Bay Area soared to record highs this winter, forecasters said Monday, the same day that a team of Stanford researchers warned that the historic heat is helping drive California’s crippling drought — with little sign of letting up. In the Consolidated Salmonid Cases, the Eastern District Court of California reviewed a Biological Opinion (“BiOp”) issued in 2009 by the National Marine Fisheries Service (“NMFS”) that placed restrictions on the Projects’ [Central Valley Project and State Water Project] operations to protect endangered species. In the Consolidated Delta Smelt Cases, two district court opinions for the Eastern District of California review a Biological Opinion (“BiOp”) issued in 2008 by the Fish and Wildlife Service (“FWS”) that placed restrictions on the Projects’ [Central Valley Project and State Water Project] operations to protect endangered species. Recent storms will allow California to provide more water to local agencies and farms even as drought conditions stretch into a fourth year, officials announced Thursday. Following winter storms, state officials have slightly increased their estimate of how much water will flow to Southern California this year through the canals and pipelines of the State Water Project. The Department of Water Resources announced on Jan. 8, 2014, that it has begun using renewable power purchased from a Dominion Solar Holdings’ solar project to help move water through the State Water Project. 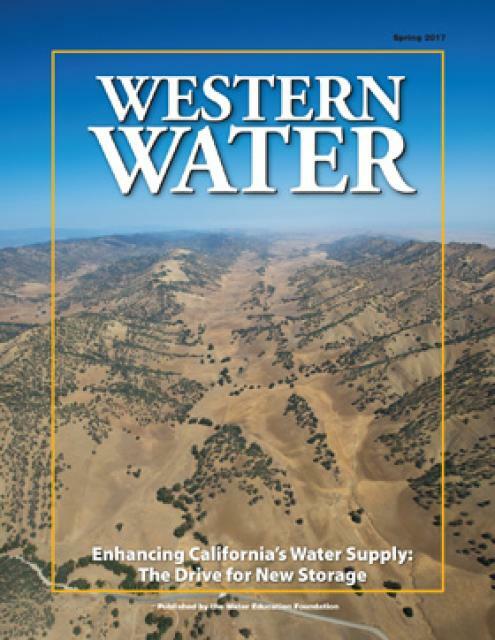 California public agencies requested 4.1 million acre-feet of state water for 2015. For now, they’ll get 90 percent less. … Yuba City is the only local agency with a share of State Project Water. State officials announced Monday that with the drought persisting, water agencies can expect only 10 percent of their full allotted amounts of water next year through the canals and pipelines of the State Water Project. The State Water Project, which carries runoff from the mountains of Northern California to much of the state, expects to limit annual water deliveries to 10 percent of what is requested in the coming year due to the prolonged drought. From the Department of Water Resources: The Department of Water Resources (DWR) announced today [Nov. 24] it will begin negotiations with State Water Project (SWP) Contractors in December on proposed amendments that would modify SWP water supply contracts. The Bureau of Reclamation and the Delta Science Program, in coordination with the National Oceanic and Atmospheric Administration’s National Marine Fisheries Service, U.S. 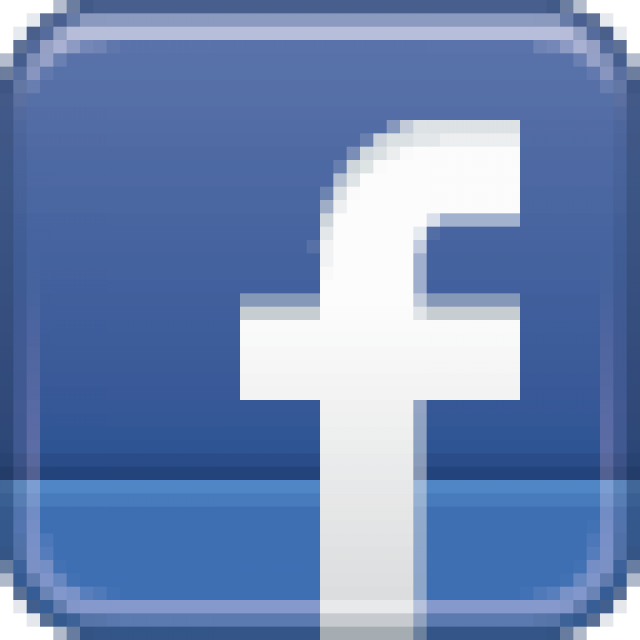 Fish and Wildlife Service, and California Department of Water Resources, have scheduled an annual science review and workshop on certain biological opinion implementation actions relative to the 2014 operation of the Central Valley Project and State Water Project. The 2014 annual science review will be the fifth annual review. Only time and nature will determine whether Lake Oroville will continue its steady drop or begin to climb back. On Monday, the lake was at a low water elevation of 670 feet. Capacity is 900 feet. California’s lingering drought has lowered the water level in Castaic Lake so dramatically that authorities said a fisherman on Thursday recovered a badge and handgun that a federal agent lost in the lake nearly 22 years ago. We’ve all had those years when we couldn’t wait to flip the calendar to January, put our troubles behind us and get a fresh start. That’s how California water managers must feel today.